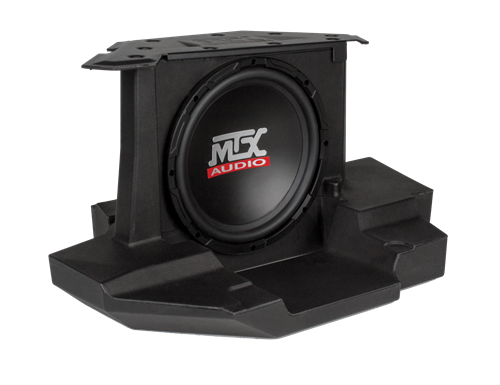 For over 25 years, MTX has been making vehicle specific subwoofer enclosures and nobody knows how to do it better. 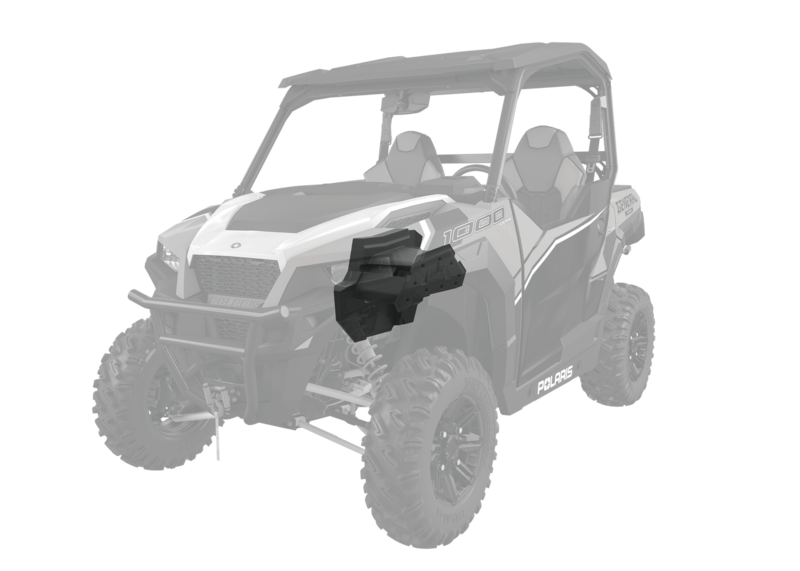 This durable 10" subwoofer and 250-watt integrated amplifier is designed forselect Polaris General vehicles and allows you to get bass in your UTV without losing any of your space. The enclosure mounts into the already existing space in the center console and does not require any cutting or drilling to install. 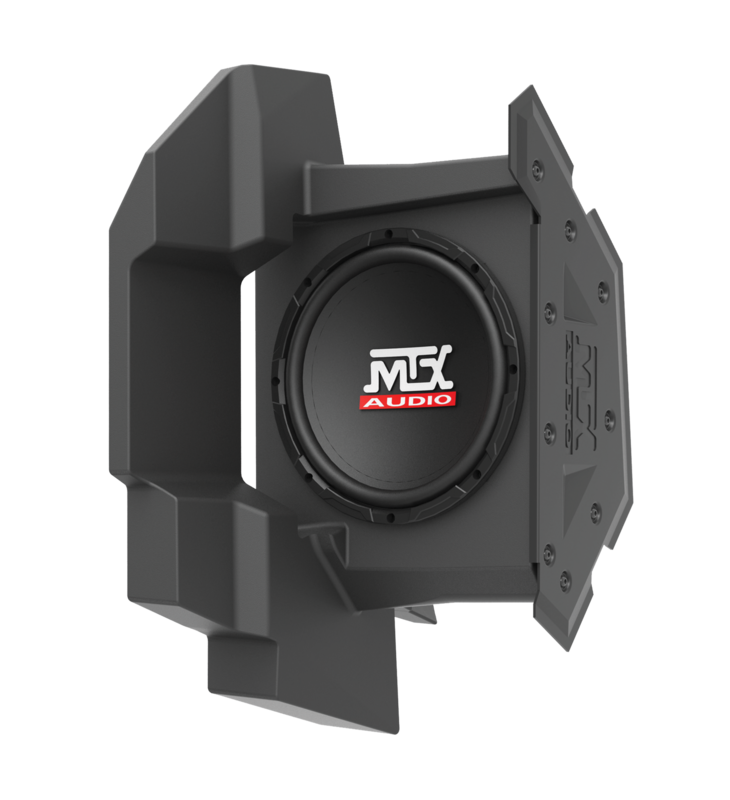 The MTX GENERAL-10 subwoofer enclosure is designed to mount into the forward center console of specific Polaris GENERAL models. The subwoofer enclosure is rotationally molded using linear low-density polyethylene (LLDPE) creating a durable finish that is weather resistant and durable. The enclosure mounts into the already existing space in the center console and does not require any cutting or drilling to install. 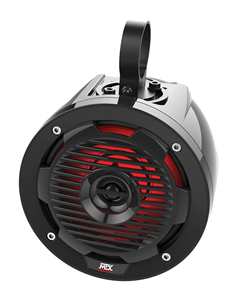 The unit includes an integrated 250-watt class D amplifier that only requires power and signal connections. This saves riders from having to purchase a separate amplifier to power their enclosure and to find a place to mount it, making installation faster and easier. The MTX GENERAL-10 is self-contained and ready to deliver the bass that MTX is known for. The enclosure includes a 10" weather resistant 250-watt RMS subwoofer featuring a polypropylene cone that withstand the rigors of off-road listening. Coupled with its location, firing against the floor of the GENERAL, the GENERAL-10 delivers exceptional bass that brings music to life. The included external bass controller also allows you to quickly adjust the bass level on the fly. 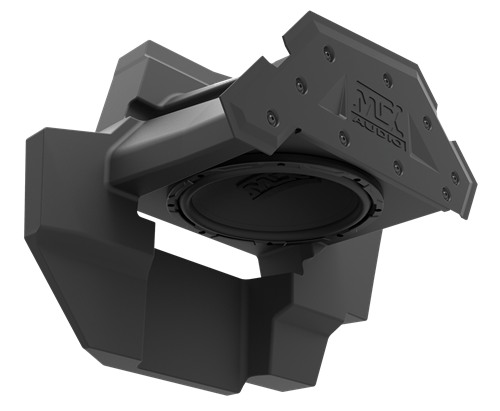 MTX offers the GENERALFRC full range audio adapter that allows you to connect aftermarket amplifiers to your OEM Polaris overhead audio system. 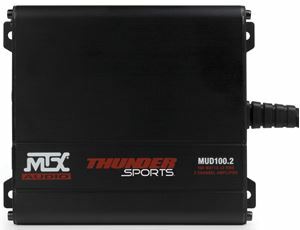 This is a great way to connect the GENERAL-10 to your existing system to bring some bass to the OEM sound.